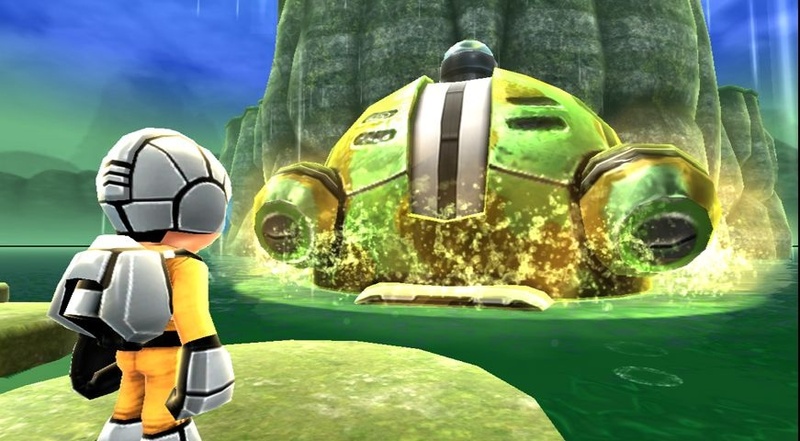 Shin'en Multimedia is an incredibly impressive developer for Nintendo platforms. Such titles in their arsenal include Iridion 3D (GBA), Iridion II (GBA), Nanostray 1 and 2 (DS), Jett Rocket (WiiWare), FAST Racing League (WiiWare), and Art of Balance TOUCH (3DS eShop). I recently had the chance to speak with Manfred Linzner of Shin'en Multimedia. My relatively short discussion with Manfred delves into the game design process of the company, types of games Shin'en would love to take a stab at, and insight into Nintendo's upcoming Wii U console. SuperPhillip (SP): Shin'en is known for its high production values in its games. What processes allow you to push those boundaries? How do you continue to shatter expectations of what can be done on the platforms you work on? Manfred Linzner (ML): We don't start our games with a story or a design document. We always start our games with something visual or a gameplay idea that makes a strong impact. Much later we finally go for story and background. We also don't use design documents for our own games. We use a whiteboard and some simple text sheets that are not bigger then a few lines. Everyone working on a game here will have a clear vision what needs to be done without the exact way how to achieve it. This way we don't get hindered at the start to come up with fresh looks and ideas and often we start with a game that takes later a very different path then we planned at first. This process works for us pretty well since more then a decade. SP: How easy or challenging was it to transition from developing games on the Nintendo DS to developing games on the Nintendo 3DS? ML: That was pretty easy. You just got more of everything. Better CPU, better GPU more RAM and more ROM. The essence of the games, the controls, kept more or less the same. SP: What genres of video games or ideas have you not yet developed that you would love to take a shot at making? ML: Well, I think we really visited a lot of genres already. We had action games, racing games, jump'n'runs, sport games, puzzle games and even games especially for women and kids. Personally I would love to do again a game like "Jett Rocket", but with non linear progression and a huge and fantastic world. 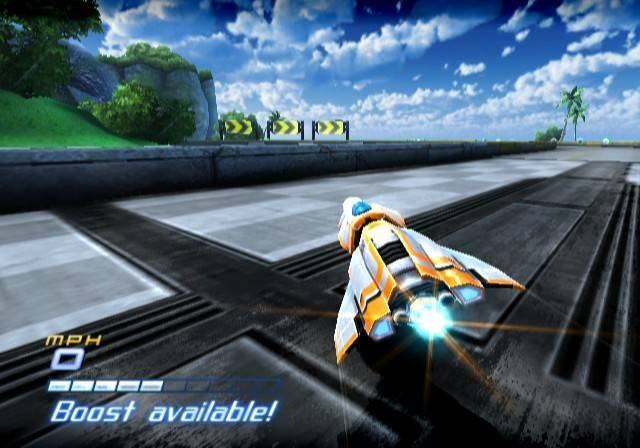 Shot of the WiiWare game, Jett Rocket. SP: How is development of the eShop entry of Jett Rocket, Super Surf, coming? Any new details you can reveal? ML: The game is coming along nicely though it had a few sharp turns while in development. We still hope to be able to finish the game this year. SP: Do you currently have any plans of resurrecting past franchises of yours like Iridion and FAST Racing League? Shot of the WiiWare service's FAST Racing League. ML: We don't own the Iridion brand but for FAST we have plans for the future. I think especially on the Wii U we could do something that would blow peoples mind away. SP: Do you currently have a Wii U devkit? If so, has the system exceeded your expectations? ML: We have a few Wii U devkits since quite some time. We even almost finished our first Wii U game. The kits exceeded our expectations in every way and we still learn how to get the best performance out of it. A good thing about Wii U is that it's very easy to develop for. You don't have so many limitations like on the other current gen platforms. For us the Wii U is the perfect platform with enough horsepower for many years to come. I think we currently only tapped 20% of its potential and our first game already looks and plays brilliant. SP: What kind of potential for new ideas, games, and developers/publishers do you see for Nintendo's digital platforms? ML: Digital is of course the future. We love that Nintendo doesn't really put restrictions on the developers what they want to do in the eShop. For us as a small developer it's like a dream come true to be able to design whatever we want and to bring it quickly to the players. SP: Is there anything else you'd like to tell our readers at SuperPhillip Central? ML: Don't miss our first Wii U game! To get the upcoming news first just join our Twitter Tweet at #ShinenGames. I would like to thank Manfred for his time and giving me the opportunity to interview him. This is but the start of the SuperPhillip Interviews segment. I plan on having even more interviews with industry insiders, artists, and more right here at SuperPhillip Central. If you have a suggestion of someone you'd like to see interviewed (someone in the realm of possibility, of course), leave a comment below or send me an email at phil[at]superphillipcentral.com.